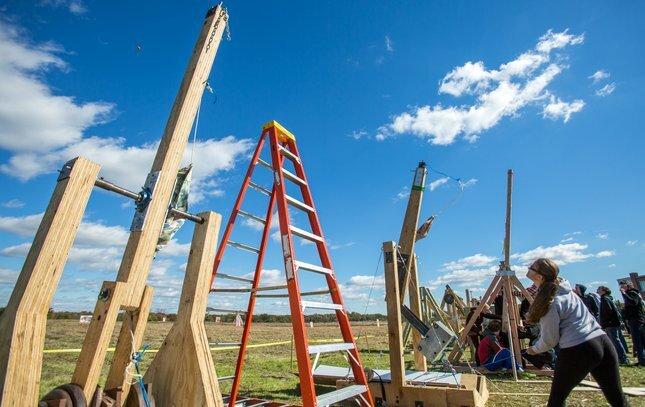 Team 'Thayer Slayer' of Washington Township High School had one of the more advanced 'ballista' designs, modeled after the mechanics of a crossbow. 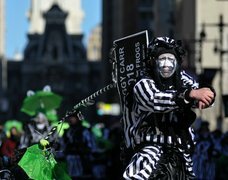 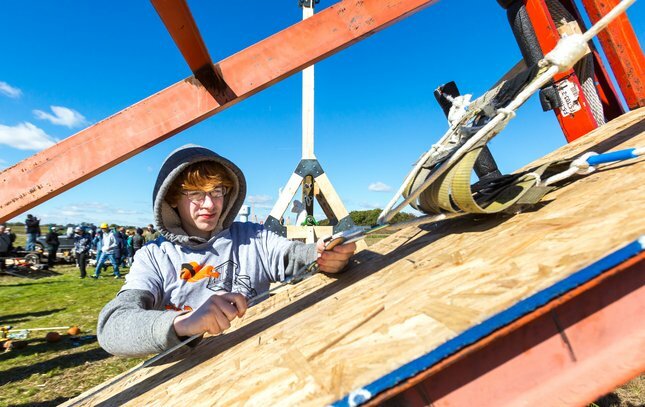 James Gallicchio of Team' Thayer Slayer' from Washington Township High School makes a quick change to their ballista catapult on Friday, Oct. 28, 2016, at Rowan University in Mullica Hill. 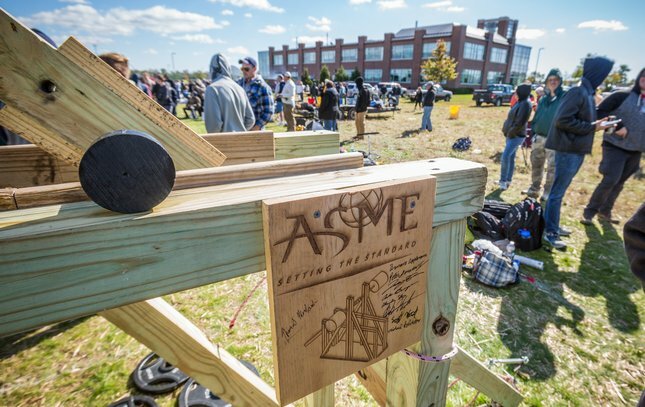 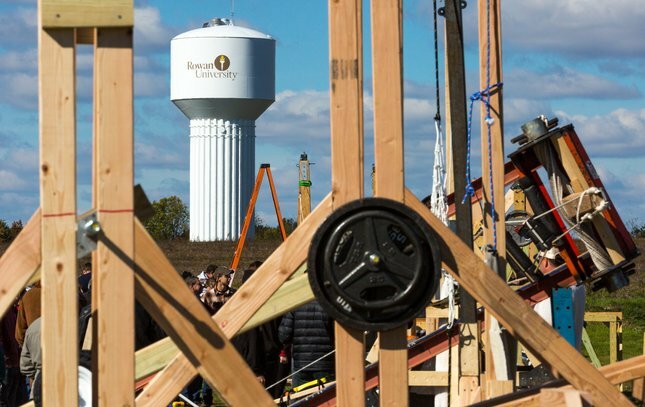 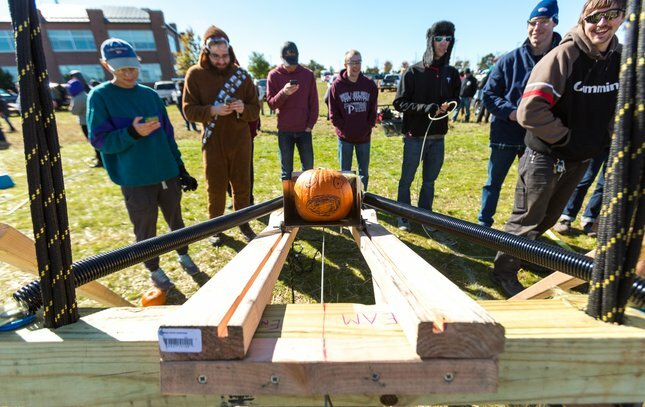 Students from Washington Township High School ready their trebuchet catapult during the 13th annual Pumpkin Chunkin at Rowan University in Mullica Hill, NJ. 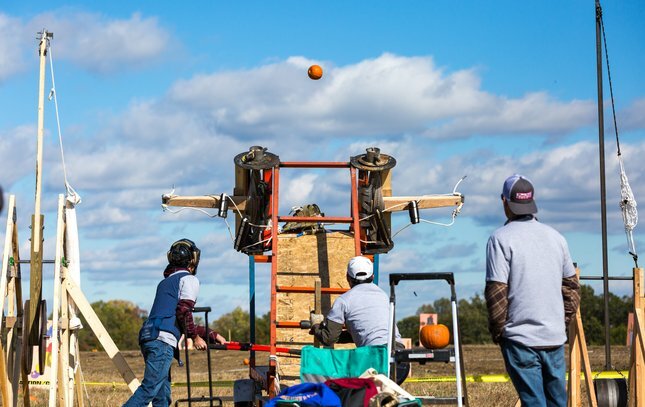 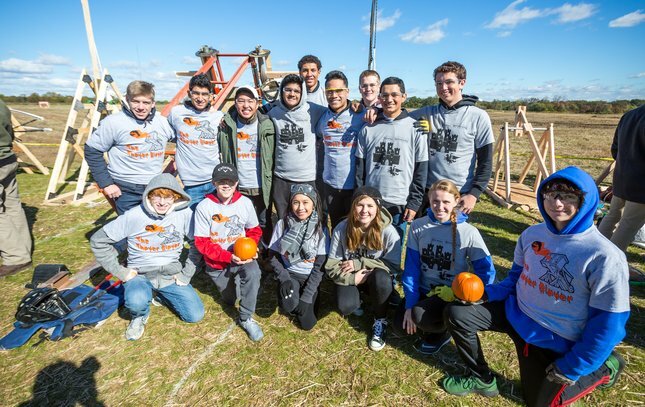 A team from Millville High School using a trebuchet design was highly-successful in launching pumpkins farther than most teams.